Pontoon is a game that's played a lot like blackjack, and it's allegedly based on earlier games that were the predecessor of blackjack as well. Whether this is true isn't clear, but what is clear is that pontoon is a solid game with atypical strategies compared to regular blackjack. If you come into pontoon expecting to play blackjack-based strategies, then you're probably going to lose in a major way. We want to walk you through the rules of this game and how to play it on a high level. The card values in pontoon are exactly like blackjack, and that includes the idea that there are soft and hard hands based on whether the ace can or cannot be used as an 11, respectively. You are dealt two cards, face-up, and the dealer is dealt two cards, face-down. The key thing to note here is that both of the dealer's cards are face-down, so you don't get to see either card. The basic idea is that if you have a higher total than the dealer without going over 21, then you win. However, the hand rankings are a little different. The strongest hands are called pontoons (which pay 2:1), and these are natural 21 hands that consist of an ace and a card worth a ten just like getting blackjack. The next-strongest hands are five-card hands that did not bust. These are all worth the same no matter what their total is. 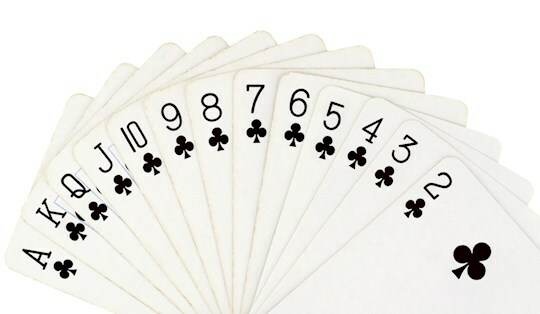 Next you have hands made up of four cards or fewer that are of 21 or lower, and these hands are ranked as usual based on the number of points in your hand (the number of cards is irrelevant for these hands). Finally, you have busted hands that always lose for the player. Not being able to see one of the dealer's cards is a relative disadvantage. However, this is compensated for by the fact that you get some extra flexibility with your betting options. You can hit or stand as usual, though you need a total of 15 or more to stand. You are also forced to stand on any five-card hand that does not exceed 21 points. You can double once per hand, as long as you have between two or four cards. You can also double after splitting, and you can hit after doubling. You can also split twice per hand, up to the point that you have three hands total. If you make a natural 21 after splitting, then that counts as a pontoon instead of a "regular" total of 21. Strategy in pontoon is based on three pieces of information. Keep in mind that having more cards makes your hand stronger because you're closer to making a five-card hand. That covers every single possible situation in this game except for paired hands. As far as paired hands go, you'll split with aces and eights in most games (see the below exception), and you'll play your hand like a normal hard hand the rest of the time. As you can see, all of these strategies are much easier to learn than regular versions of blackjack where you see a single hole card. There's an important exception to splitting aces in pontoon. If you're forced to only get one card apiece with split aces, then you should hit them instead of splitting. This is the case with the pontoon game powered by Microgaming. You're allowed to get more than one card with split aces if you're playing with Realtime Gaming, CryptoLogic, Playtech or many other software developers. One of the key advantages of playing blackjack-style games is that they have a low house advantage when you exhibit particularly strong play. Because the strategies for pontoon are much easier to learn than usual blackjack games, it's an attractive game for people who learn who like strategy but who do not want to have to spend several hours each week studying for months to learn to play perfectly. Along these lines, playing correctly will give you a 0.38% house advantage, or a 99.62% payout rate, in games where you're allowed to add multiple cards to split aces. If you do not have this option, then the house edge increases slightly to about 0.39% for a payout rate of 99.61%. As you can see, there's not much of a difference in the house advantages when you play correctly for either set of rules. However, if you play incorrectly with split aces in either game, that can bring down your payout rate significantly.